Smooth muscle tissue, usually associated with organ function, that an individual does not consciously choose to use. Instead, the operates, or performs its function automatically. The heart is an involuntary muscle. 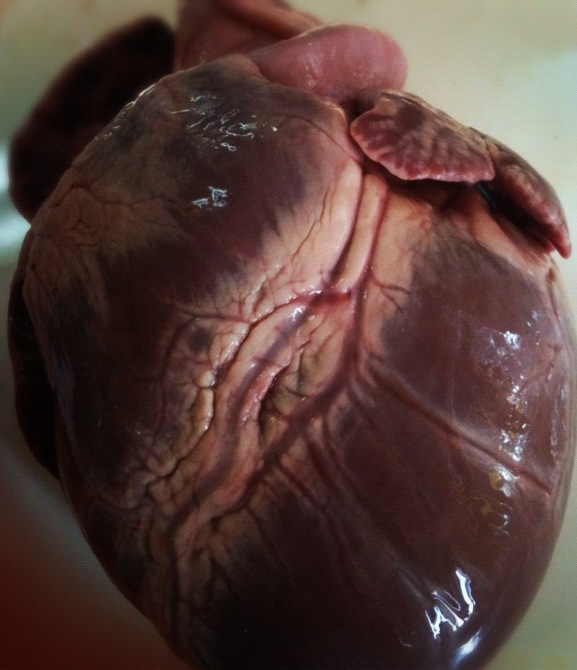 "Pig heart prepared for dissection, February 27, 2013" by MarceZa.